:) I really liked this one! I'm always drawn to ghosts and the supernatural, but most books fail to make me believe. 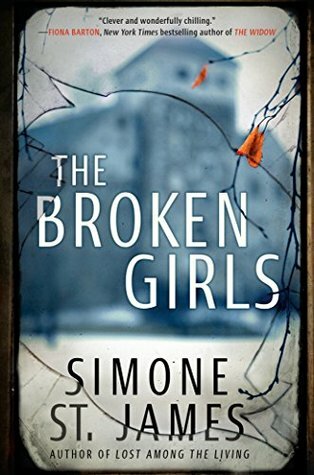 The Broken Girls, with its contemporary mystery and its supernatural element was such a great combination! I haven’t read this one yet so you’re not the only one. I have it on hold on overdrive. Hopefully it gets in soon. I have this one on my TBR list. Ever since I read Lois Duncan's "Down a Dark Hall" years ago, I have loved the concept of haunted boarding school, haha. Looks like this one will be a fun read. A ghost/mystery story set in a girls boarding school for misfits sounds great! My library has it too! Oh, yay! I hope you enjoy it. Have you ever read this author before? I've never read St. James! I feel like I'm missing out. I've read so many great reviews of this one and I do have it but just haven't gotten to it. Sounds like such a great read! this looks so good. I have my eye on it for a while. I have never read this author before and very curious about this one. I am glad to see you loved it. I think I will love the setting as well.